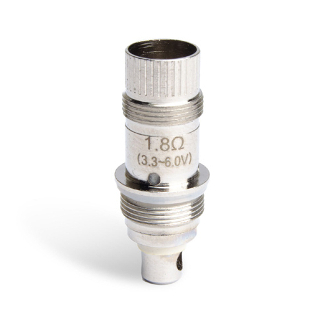 The Aspire Nautilus Coils were one of the first to utilize a dew design; BVC. This creation stands for Bottom Vertical Coil, which is said to have a longer life span, bigger clouds, and increases the flavor of your liquid with each inhale. The 1.6 and 1.8 ohmed Nautilus Coils are a great addition to your clearomizer and will continue to deliver a fresh taste with each change!